The Charter Township of Bloomfield is located in Oakland County and is roughly 23 miles northwest of Detroit. Bloomfield Township was first established in 1827 and was the first township to become part of Oakland County. Bloomfield Township sits right next to West Bloomfield Township and shares the same type of scenery and available activities. One of the activities that many in the area enjoy is golf. Bloomfield has multiple country clubs that draw in golf enthusiasts from all around. The Oakland Hills Country Club, which sits in the southern section of Bloomfield Township, has been the host of the PGA’s U.S. Open 6 times since 1924. It’s a beautiful club that has been around since 1916 and continues captivate all who visit. 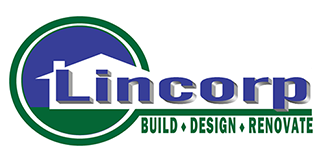 To learn more about the area, please visit the Bloomfield Township website here. 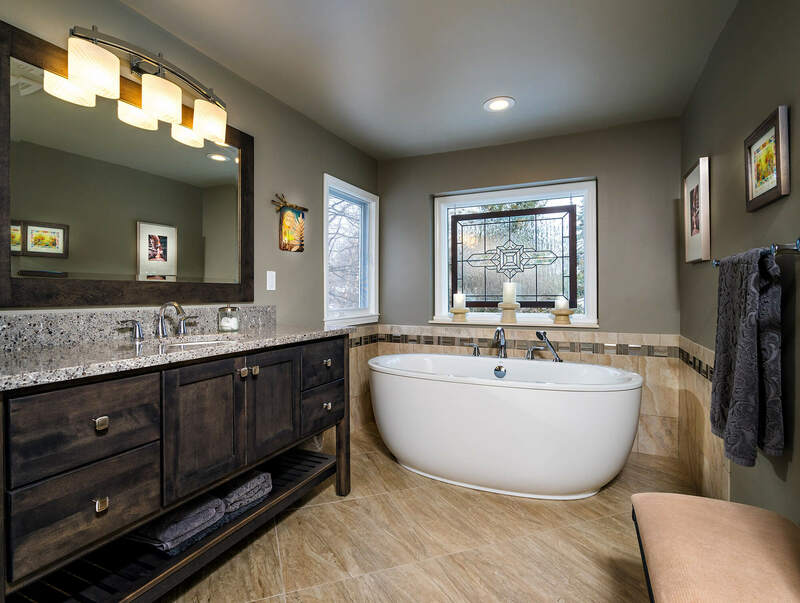 The above photo is of a Bloomfield Township style bathroom remodel where we kept the existing layout and upgraded the vanity, top, tub, tile, lighting, etc. The space now feels far more open and modern. 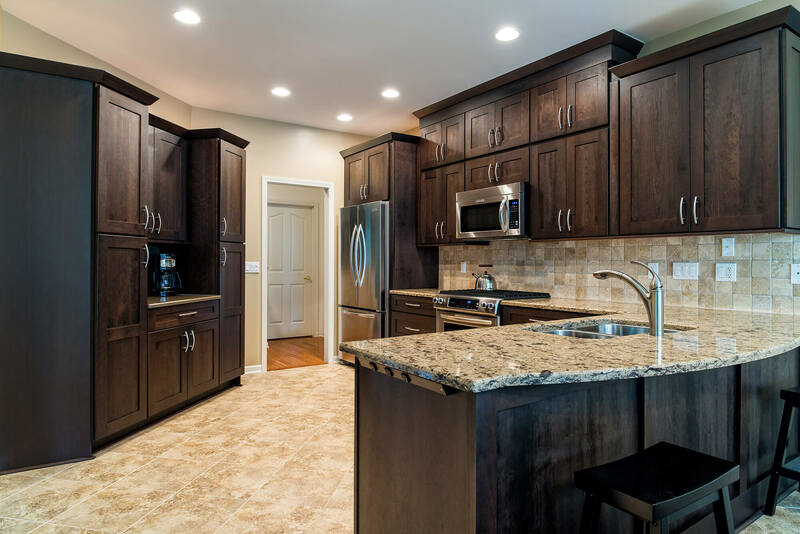 In the above Bloomfield Township style kitchen remodel, we installed some beautiful dark cabinets, a new countertop, and light-colored tile flooring. The contrast of the dark cabinets against the light floor really makes the kitchen pop. The homeowners were thrilled with their new kitchen.